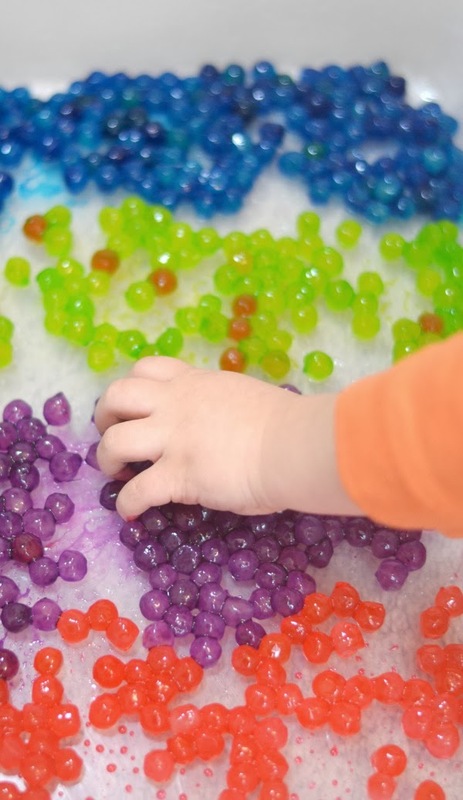 Water beads are an amazing play material for children who are out of the mouthing stage. However, even with older kids many readers still express concern in regards to choking. 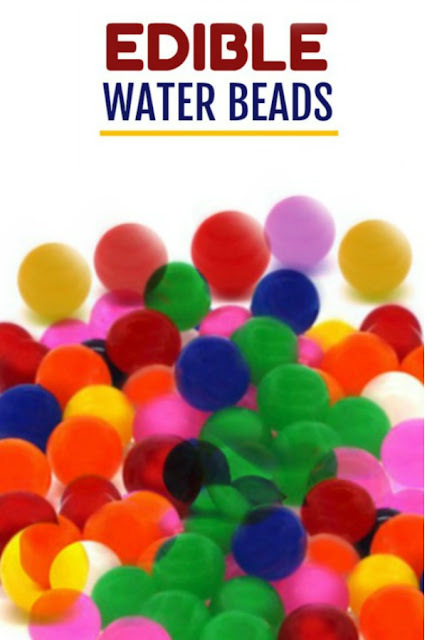 As an alternative to traditional water beads I am sharing an easy way to make taste-safe water beads at home. Have you ever heard of tapioca pearls? 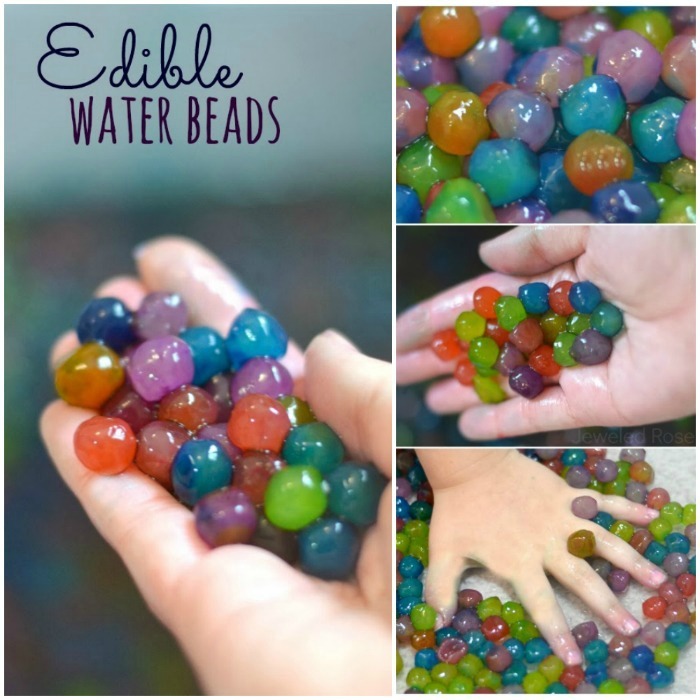 They are edible and feel almost exactly like water beads! Prepare them as we did below for a super fun play-time for kids! You can find tapioca pearls at an Asian food market if you happen to have one near you, or you can purchase them online here. Make sure you get quick cook tapioca pearls; they only take 5 minutes to cook! Add the tapioca pearls and stir. Cover the pot and cook on medium heat for 5-7 minutes. Once cooked drain the tapioca pearls and run them under cold water for several minutes. 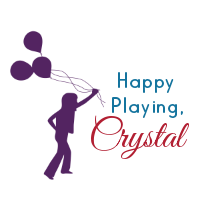 Kids can play with the pearls once they are cool, or you can add extra coloring for even more fun. 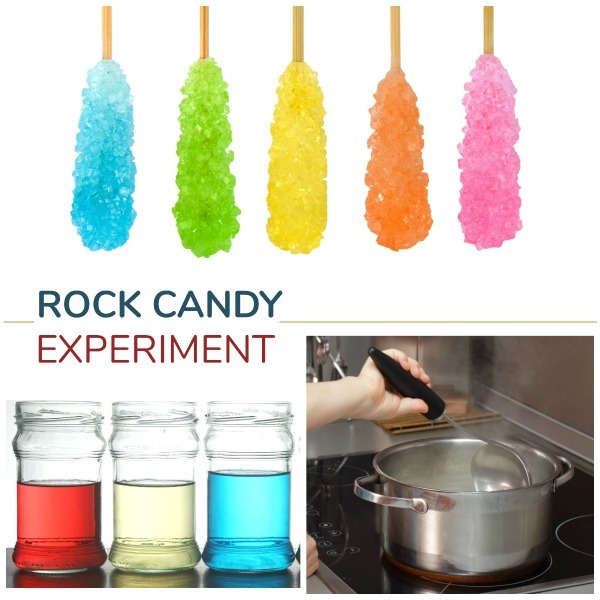 To do this we used food coloring. 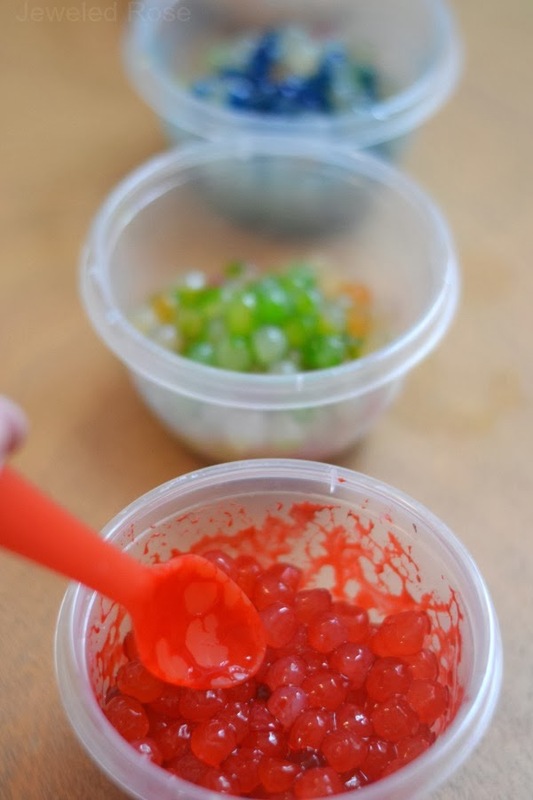 Divide the cooked tapioca pearls into cups, using one cup for each color of water beads that you wish to make. 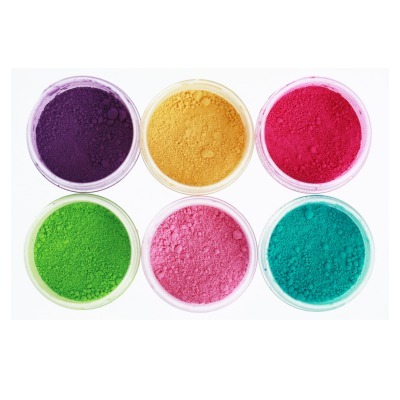 Add a few drops of food coloring to each cup and mix. 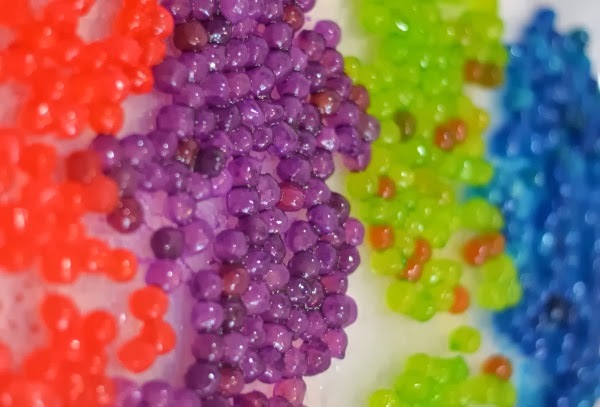 I let the colors absorb into the pearls for about 15 minutes, and then I dumped the pearls back into a strainer and rinsed them under cold water to remove any access color. 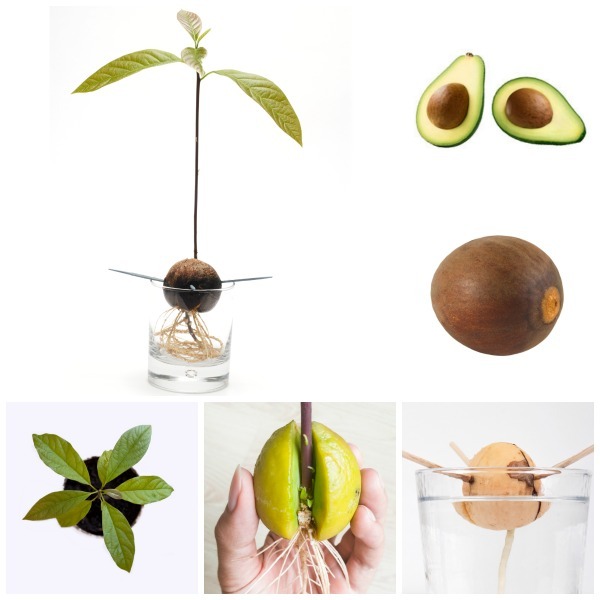 This worked fantastically! 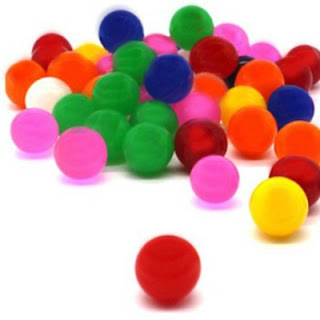 The tapioca pearls were vibrantly colored, and very little color transferred onto Rosie and Jewels hands during play! 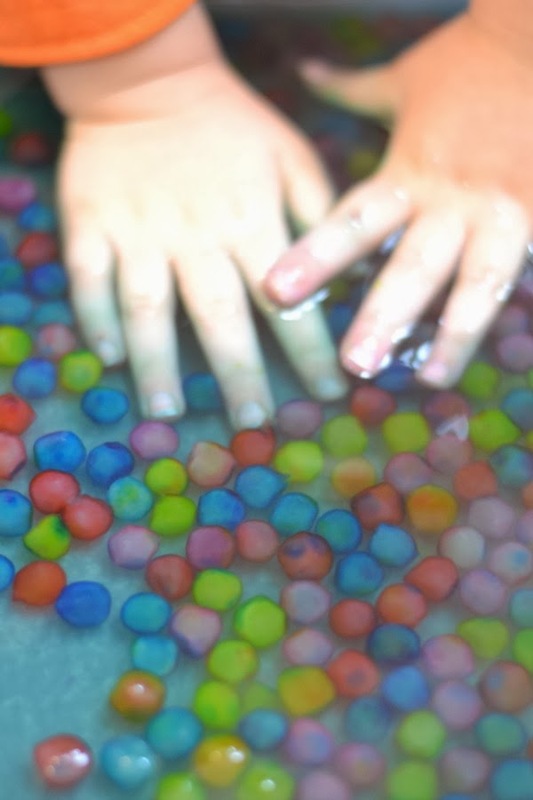 Rosie and Jewel had lots of fun exploring with the water beads, and they found tons of ways to play! They scooped and dumped, played restaurant, counted, sorted, and more. Note: The tapioca pearls feel a lot like water beads, but they are slightly sticky. 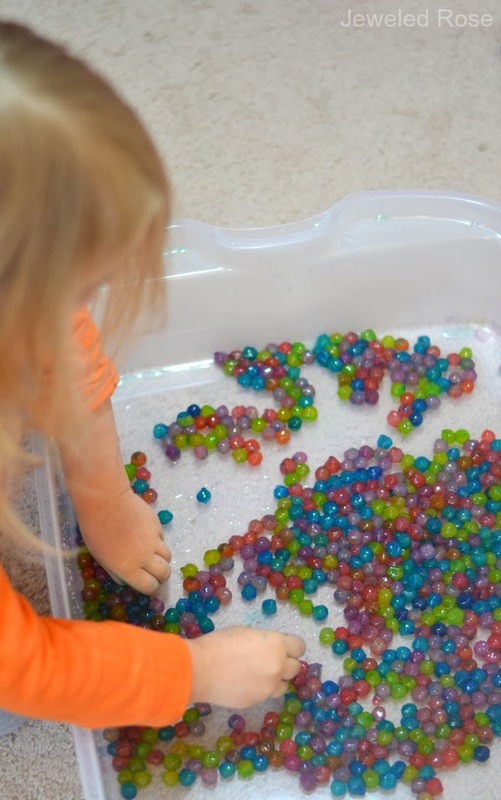 Rosie and Jewel loved the added sensory element, but if your child does not like the stickiness just add water to the bin of water beads. We added water after a bit of play, and the beads were not sticky at all in the water. Once we were done playing I stored the tapioca pearls in a storage container full of water in the fridge. We kept our tapioca pearls for four days before deciding to toss them, and the girls had lots of fun playing with them each day. 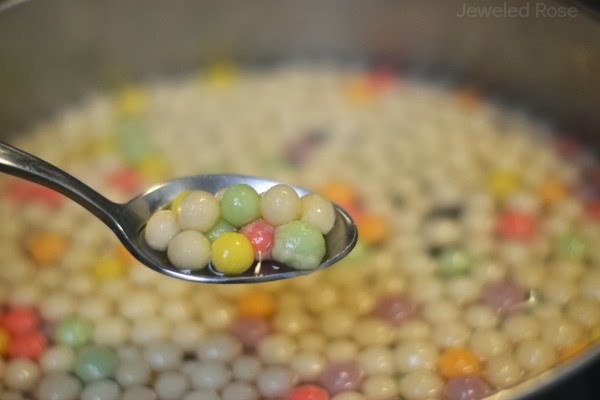 While tapioca pearls are edible you would not want your child to sit and eat a ton of these. Rosie and Jewel tasted one and did not have any desire for more, so this really shouldn't be of concern. Please supervise very small children and do not allow then to sit & eat these during play.